Board-certified, Dr. Tom Hecker’s concentration is on non-surgical options that help to make you like new – not just better. 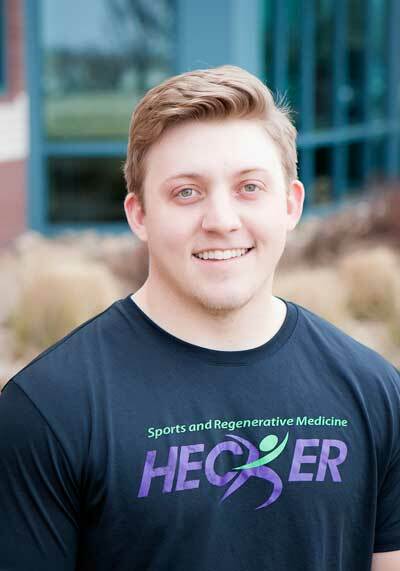 With a personal and educational approach, Dr. Hecker provides sports and regenerative medicine for people of all ages, ability, and incomes. 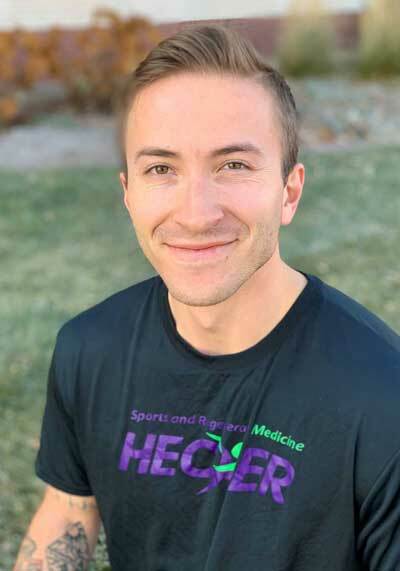 Dr. Hecker graduated Colorado State University in Fort Collins before completing his Doctor of Podiatric Medicine degree from the Dr. William M. Scholl College of Podiatric Medicine in Chicago. He completed a two-year podiatric surgical residency at St. Mary's of Nazareth Hospital in Chicago, before entering private practice in 1996. Since then he has developed effective non-surgical strategies and treatments for all types of biomechanical injuries and chronic pain. Dr. Hecker is committed to continuing medical education, equipping him to provide the latest and up-to-date care for patients. Using the most recent advancement in the diagnosis and treatment of all types of injuries, including foot and ankle problems, he helps to renew patients’ strength. 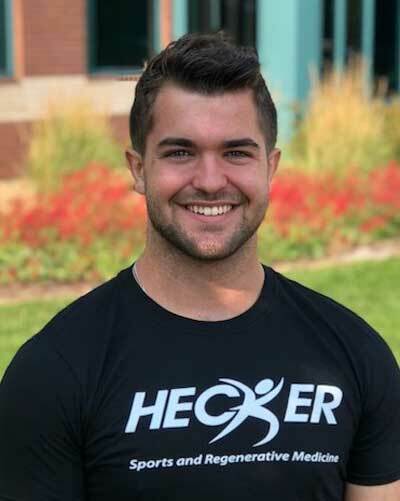 Gradutate of Hastings College and earned a degree in Biology and Exercise Science. 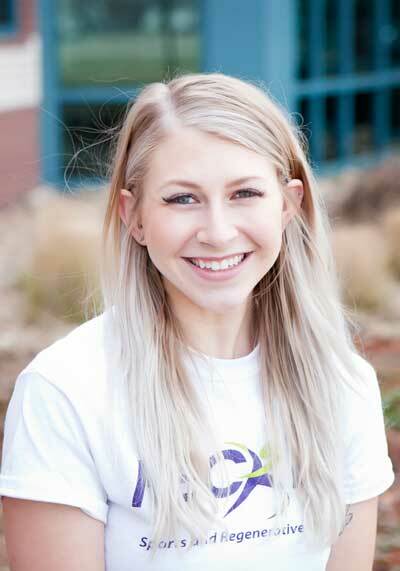 Kenzie was born in Lakenheath, England, played collegiate basketball at Hastings, and loves anything spicy. Graduate of IBMC with a degree in Office Management with Medical Emphasis. 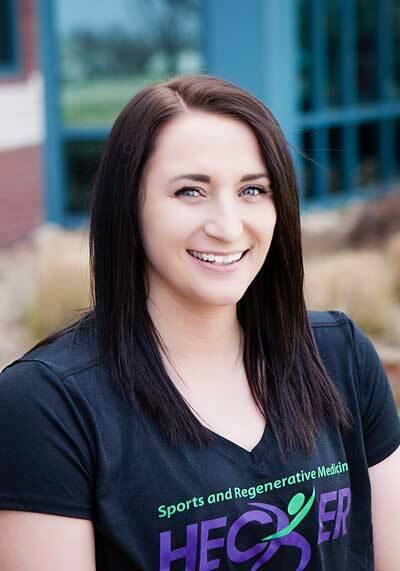 She is a Fort Collins, CO native and loves all things outdoors: camping, hiking, and spending time with family. She is the mother of two and has been married for 22 years. Gradutate of Lone Star College - North Harris with a degree in Small Business Management. He was born in St. Gallenkappel, Switzerland, loves to bake, and is married to a Nurse Practioner. He and his wife recently moved to Fort Collins. Graduate of IBMC with a degree in Office Management with Billing/Coding emphasis. She is a Fort Collins, CO native, is married to her high school sweetheart and has nine animals (not including her children!). Gradutate from Colorado State University with a degree in Health and Exercise Science with a concentration in Health Promotion. He's from Scottsdale, Arizona and when he is not at the clinic he's playing with "Chuck," his 10 year old Golden Retriever. His friends call him the Grill Master because of his love for BBQ. 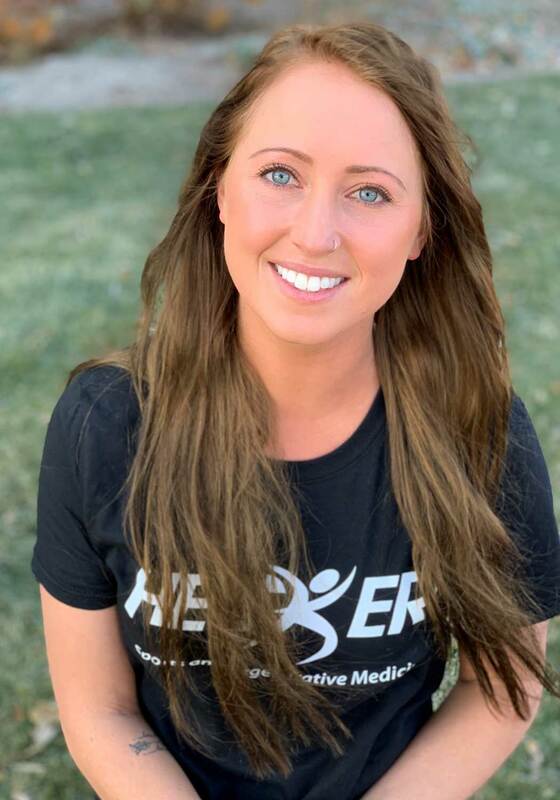 Alexis earned her Bachelor's degree in Health and Exercise Science with a Health Promotion concentration, she is a vegetarian, The Office is her favorite TV show, and ran hurdles for 7 years! Currently attending Colorado State University majoring in Sports Medicine; Tristan's hometown is Brush, CO.
Tristan is a multi-sport athlete, doesn't own a TV and can flawlessly rap "Baby Got Back." 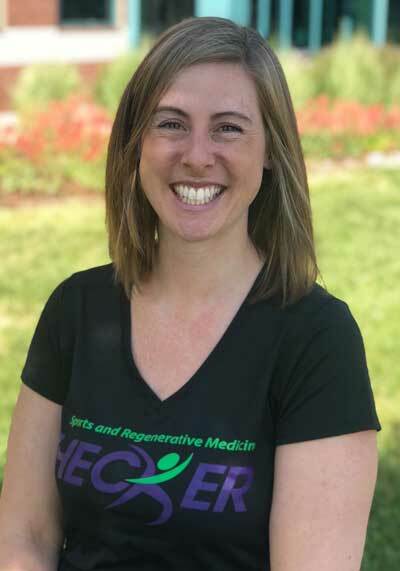 Graduate from University of Northern Colorado with a degree in Sports Physiology and Biomechanics, where she competed as a track and field collegiate athlete. She is a grew up on a farm in eastern Colorado, is obsessed with coconut water and pasta. 6-year military medic veteran. He loves to read, he works out and does calisthenics daily. When not working is spending time with his 3-year old son. 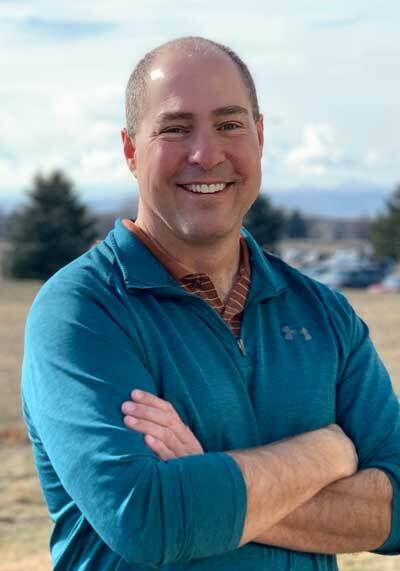 Dr. Hecker’s Fort Collins clinic is where he interacts with patients and involves them in the healing process and their treatment planning. He treats his patients like they are family, explaining what the issues are and what the treatment options are. 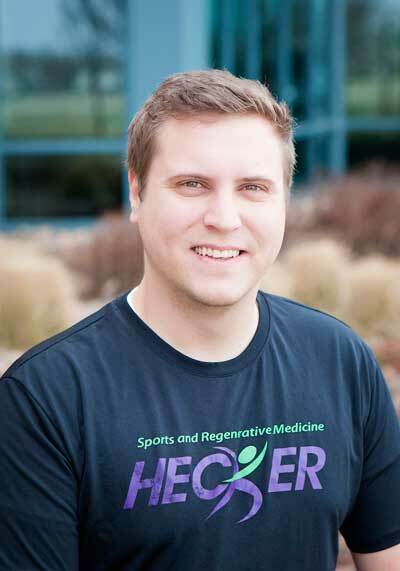 Through the science of regenerative medicine, Dr. Hecker helps restore his patients to new. We’re restoring the tissue back to its whole, how it was originally intended to function. “The heart of what I want to achieve is getting people back to their lifestyles, getting them back to the things that they want to do." 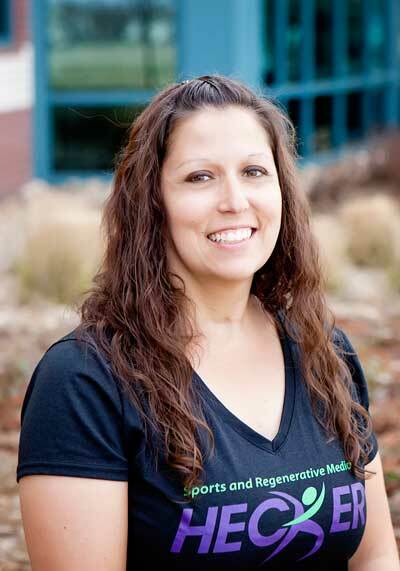 Our Fort Collins podiatry clinic has a patient-centered focus on non-surgical repair and "return to life activities," not expensive (and sometimes unnecessary) surgery.